I am very excited today to introduce you to this month's CBB guest blogger, Megan of Megan Joy. I found Megan's blog through the CBB and am very glad that I did as she has quickly become one of my favourite blog reads. Her blog is a beautiful mix of product reviews, makeup looks and life tidbits. With her recent move to San Francisco, I'm looking forward to her posts exploring her new city. Without any further ado, Megan! Hi everyone! I'm Megan from MeganJoy.ca and I am so excited to be guest posting on MizzJ's blog this month! 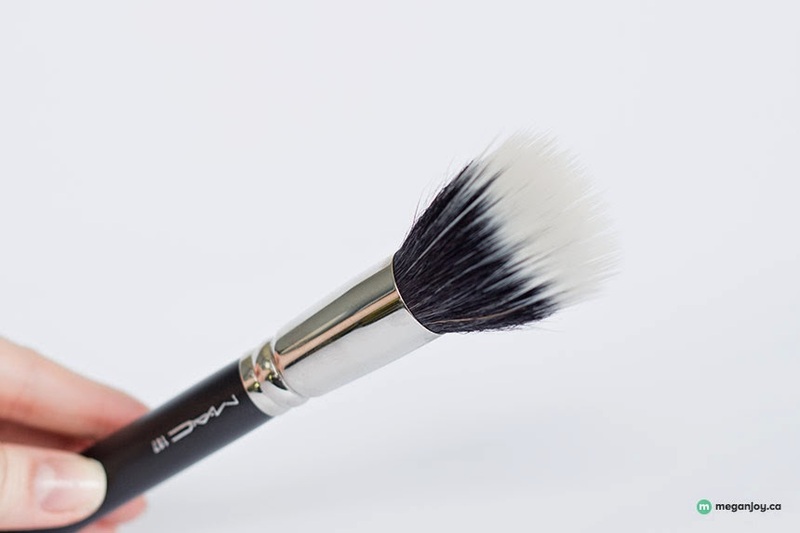 I am going to be sharing with you the brushes that I am currently loving. 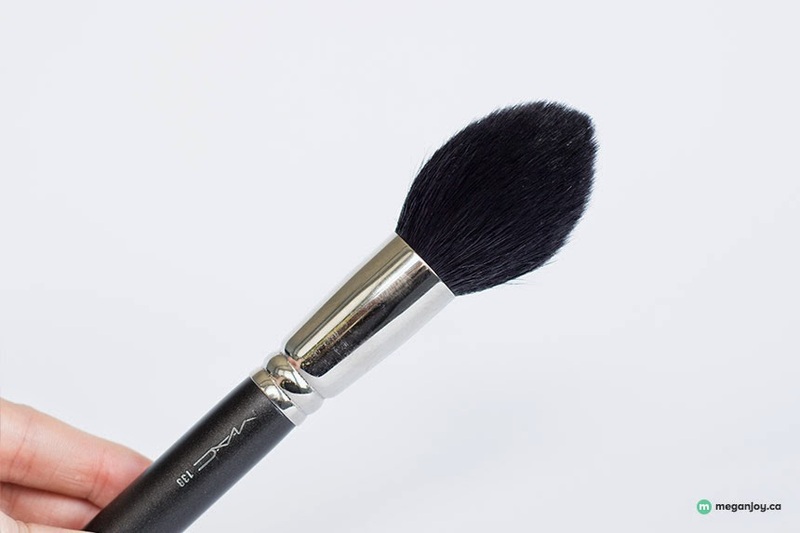 Makeup brushes are not always necessary (I'm a big fan of blending with my finger tips) but these brushes can help the job go faster and sometimes smoother - literally! I have noticed that some of the bristles have started to fall out, but it's rare. It's a little disappointing as I expect more from a MAC brush, but overall I still really love it. 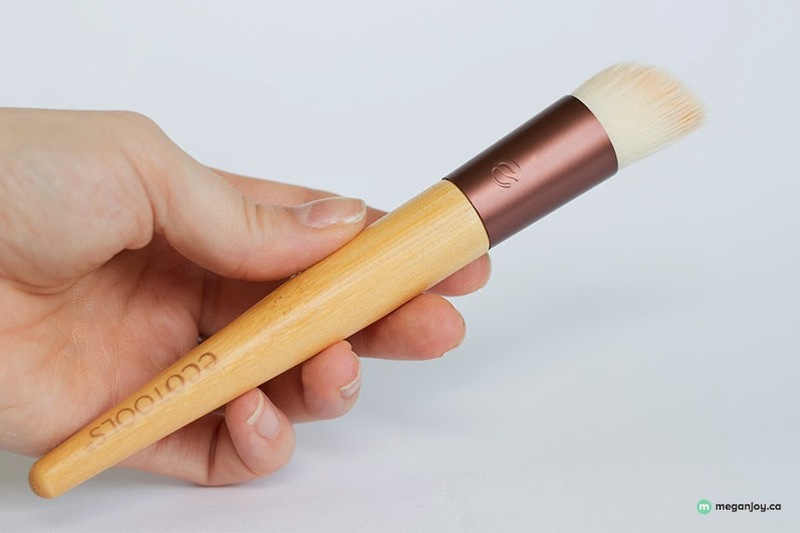 I don't normally use foundation brushes, and while I don't use this one daily, I have found myself reaching for it when I want to apply a BB cream or tinted moisturizer. The bristles are stiff, but still soft and they blend my foundation really well! 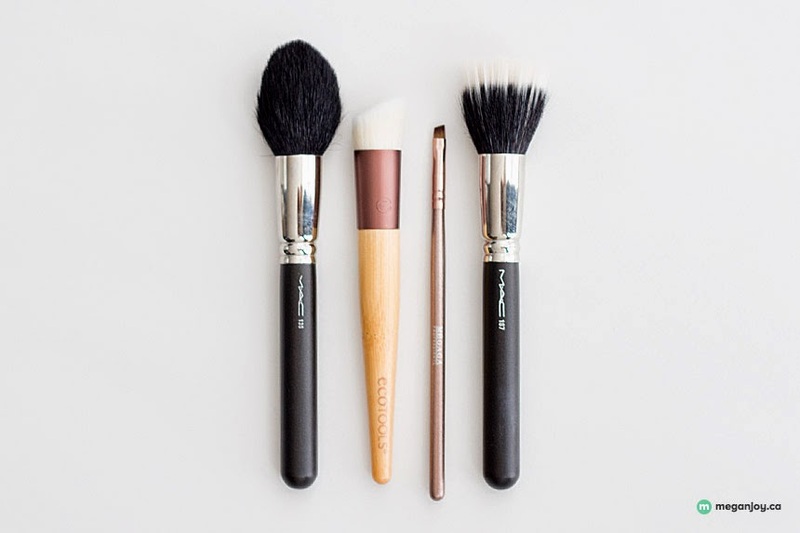 To boot, all of EcoTools' brushes are synthetic and cruelty-free! This brush originally came in a set I got as a Christmas gift from my friend years ago (thanks Erin! ), but over the years and many apartment moves only a few lonely brushes remain : ( I think the reason this brush never got lost amid my apartment moves was because it was always in my makeup bag. 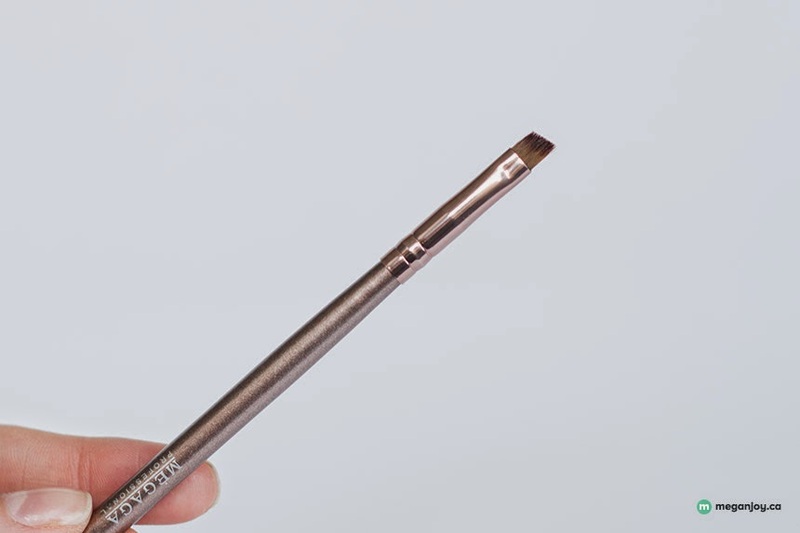 It's great for applying gel liner and also for filling in my brows! I've had it for years and it's never started to shed or fall apart. I still have the shadow brush from this set as well and I've just never had the need to replace them. This is my brush for applying setting powder after the rest of my makeup has been applied and blended. I use this to apply a thin layer of setting powder and it helps my makeup to stay in place all day and also helps to absorb excess oil! This brush is so super fine it feels like feathers when I'm using it. It's also great if you don't wear makeup but just want to brush some powder on your face to keep your skin looking matte. That's all from me, I hope that you enjoyed reading this post, and thank you again to MizzJ for having me!